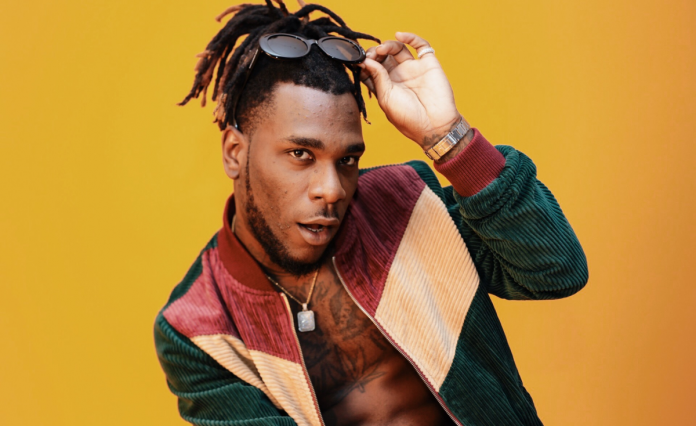 Burna Boy says he is not joining the #EndSARS campaign for a number of reasons and we think he has every right to his decision. "This may be too much for many of you to understand. 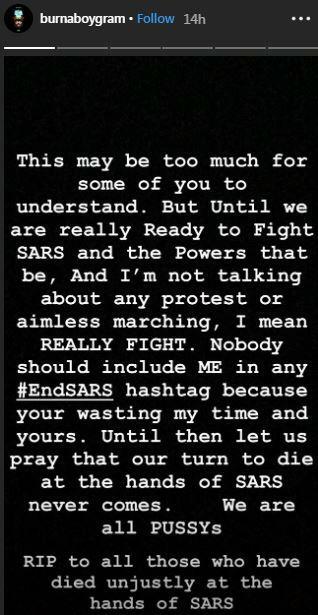 But until we are really ready to fight SARS and the power that be, and I'm not talking about any protest or aimless marching, I mean really fight. Nobody should include me in any #EndSARS hashtag because you are wasting my time and yours. 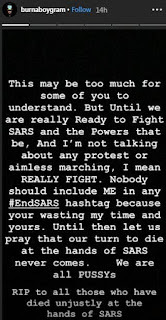 Until then let us pray that our time to die in the hands of SARS never comes. We are all Pussys. RIP to all those who have died unjustly in the hands of SARS," he wrote.